When in 1896 the first four-wheel British petrol car hurtled down the streets of Birmingham, local residents couldn’t have known what was to follow. The drive heralded the arrival of the largest concentration of motor manufacturers anywhere in Europe, bringing innovation, wealth and employment to the area. By this time, the industrial revolution had already cemented the Midlands’ reputation as a hub of engineering excellence and expertise. Beginning in Shropshire and spreading to the rest of the world, manufacturers in the Midlands led the way in producing coal, iron, steel and ceramics. More than a century later and from the potteries of north Staffordshire to the aerospace clusters in Derby and Wolverhampton, the region remains a prime centre of UK manufacturing expertise. But this talent has taken a hit in recent times following recessions, company closures and high-profile job losses. In December 1996, 575,500 were employed in manufacturing throughout the region. By December 2010, this figure more than halved to 285,500. Between 1997 and 2010, manufacturing output in the Midlands dropped from £15.3bn to £11.8bn – the highest percentage anywhere in the UK. Charles Addison, commercial director of business organisation Made in the Midlands, believes such headline figures were hugely damaging to attitudes in the area. For Addison, the spirit of the industrial revolution is re-emerging. He notes that manufacturing was the best-performing sector in the UK economy in the first quarter of this year and claims that the majority of Made in Midlands’ members recorded their best-ever trading period last year. The Midlands automotive sector, which accounts for around 30 per cent of UK car production, has been the first to feel the effects of the revival. The region has a strong automotive supply chain and hosts a number of major groups including Jaguar Land Rover (JLR), Aston Martin and MG Rover. Earlier this month, JLR said it would invest £200m to expand its Castle Bromwich plant, just three years after it was threatened with closure. The news followed an earlier announcement by JLR that it was to build a £355m engine plant in Wolverhampton that will bring a further 750 jobs to the region. Positive news also appeared from the construction sector. Late last year, Caterpillar announced it would invest £50m in its UK manufacturing facilities and expand production facilities in Leicestershire and Stoke-on-Tees. The group also announced it would create 300 new permanent jobs. More high profile have been the emerging engineering opportunities in the region’s aerospace cluster. 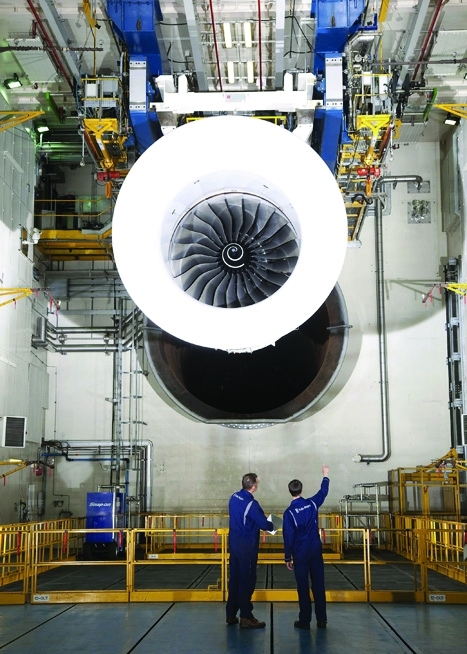 The hub of the cluster is found at Rolls-Royce in Derby, which accounts for one in four of the region’s aerospace jobs. A second cluster is formed around the companies Aero Engine Controls, Goodrich, Moog and Meggitt in Wolverhampton, Birmingham and Coventry. These companies are supported by research centres located in universities throughout the region. One of these, the Warwick Manufacturing Group (WMG), has recently overhauled its International Doctorate programme to give new and existing engineers experience in major manufacturing projects. According to Semta (the Sector Skills Council for Science, Engineering and Manufacturing Technologies), 19 per cent of engineering groups in the region reported skill gaps in the current workforce, which was slightly less than the proportion within UK engineering. The most frequently cited gaps were in areas such as CNC machine operations, tool setting, fabrication and welding. Addison’s optimism is reflected in the ambitious plans manufacturers have laid out for the coming years. For a region that accounts for more than a quarter of the country’s engineering employment, the Midlands has a responsibility to help bridge the skills gap. So far the revival has kept up its momentum. Opportunities in the Midlands are flourishing, and if it can attract the right workforce, so too will hopes of a national economic recovery. Has Stoke been moved to the north east of England or has the River Tees been diverted? There’s real proof in this article of the damage that has been done to the UK’s manufacturing industries by the national media’s obssession with negativity. Would love to see national journalists being sent to manufacturing companies for a few weeks to see all the good stuff that goes on. I am a headhunter for the automotive industry and I agree with Ed Neales comment above. A good way of measuring performance is to watch the turnover of a manufacturer and also monitor their recruitment. There is a real buzz around the industry recently, particularly in the Midlands. With the likes of JLR making hugely progressive strides forward, the tier 1s 2s and in some respects other OEMs are really starting to see the benefits and results. There is a lot of negativity from the media regarding the UK automotive industry, for what my opinion is worth, as a professional working entirely in the industry, I disagree with the negativity and am truly encouraged by the positive signs. Like a lot of small companies bak-rak get all our engineering done in the midlands and we would like to celebrate this fact on our advertising and packaging. However we only have a mega organisation ‘Made in the Midlands’ aimed at big companies with a ‘000’s joining fee. Let’s get ourselves a logo that we can all use and celebrate where our kit is made. It is not going to make me enough money to justify MitM – but we are still proud of it! !